Audio/Video Systems utilizes a combination of different equipment to bring together and control multiple content forms or medium to function as one system. In general, multimedia includes a combination of text, audio, still images, animation, video, interactivity content and sound reinforcement. 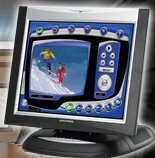 Multimedia is usually recorded and played, displayed or accessed by information content processing devices, such as Computers, DVD players, Cameras, Microphones and other input devices. The AV Controller takes the inputs and can mix these signals and route them to the proper output, such as amplifiers, speakers, projectors and recording devices. 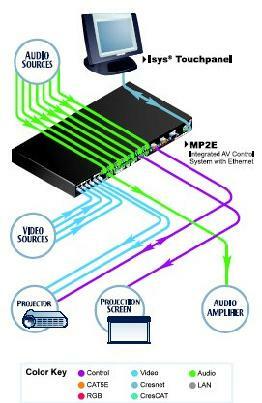 The AV Controler can also operate motorized projection screens, lighting, drapes, and other room functions. The touch screen is customized to provide the operator an easier way to control all of these functions. These systems are used in Class Rooms, Board Rooms, Lecture Halls, Court Rooms and in modern Church settings.